The Caribbean is a geologically complex region with an equally remarkable flora and fauna. In this course we will travel by ship to a number of islands throughout the region, allowing us to explore the varied habitats and unique biota present in the region. 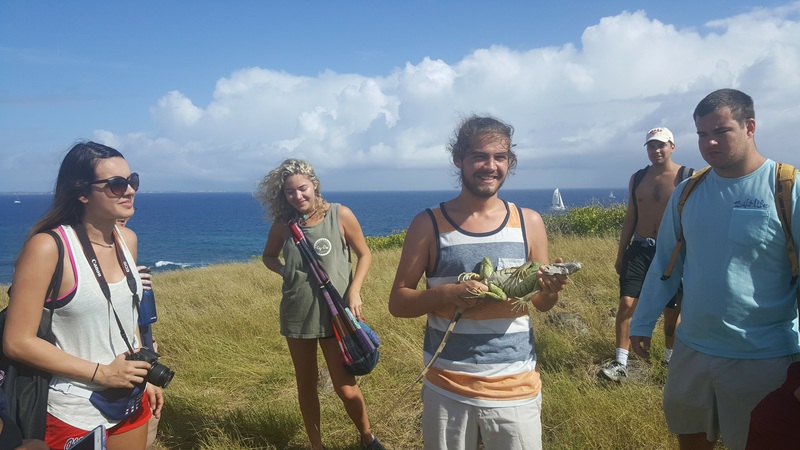 Through both classroom-based (on the ship) learning and island excursions students will learn the characteristics of islands that affect biodiversity and the biological principles that have shaped life there. The objective of this course is to study the spatial and temporal distributions of organisms, populations, and species, in an era of global climate change, habitat fragmentation, and globalization of human activity. The central processes in the study of biogeography are evolution, extinction, and dispersal, which span many scales of time and space. Thus we will cover both historical and contemporary biogeographical patterns and processes on local, regional and global spatial scales. Critical current issues related to the study of biogeography, including anthropogenic caused species invasions, extinction or loss of biodiversity, and climate change impacts on biogeographic patterns will be highlighted. This course will take place aboard a commercial cruise ship, the Norwegian Breakaway. Students will be housed in pairs on the ship and will have 24hr dining available. Students will be expected to view course vodcasts prior to sailing, after which time class will take place most days aboard the ship as we work our way through the course materials. 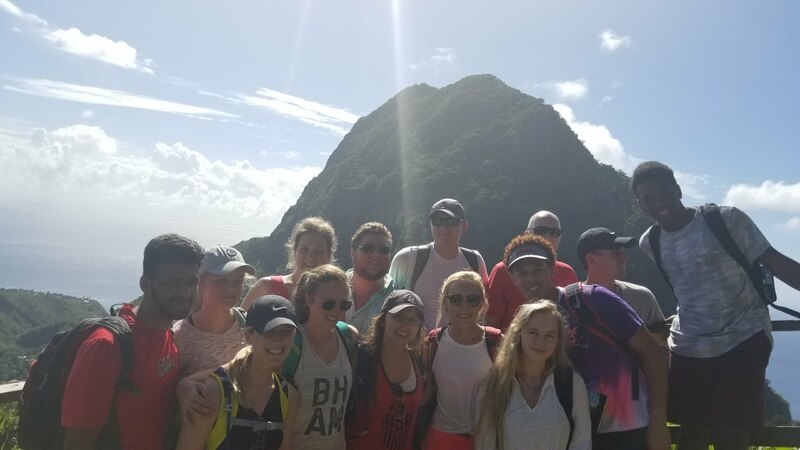 During visits to islands, the class will travel together to explore selected sites tailored to the topics covered in class. Brice Noonan is an Associate Professor at the University of Mississippi where has taught courses in Introductory Biology, Genetics, Evolution, and Herpetology. For the past 6 years he has taught courses abroad in the Bahamas, Turks & Caicos, Dominican Republic, and aboard ships throughout the Caribbean. His personal research program focuses primarily on tropical reptiles and amphibians, but also includes fish and invertebrates. Contact Dr. Noonan (bnoonan@olemiss.edu) to discuss the course. If you are a UM student: Go to Step 4. Note: If you are not a UM student: complete an application for undergraduate admission to the University of Mississippi here. This PDF document will walk you through the completion of this application. Upon completion of application, contact Dr. Noonan to confirm your progress through this first step. Complete the Study Abroad application here. Get a signed course approval form from Dr. Noonan (in person or request by email). You will have to get this signed by your Dean and then turn it in to the Study Abroad office. Once all of your course application materials have been received by the UM Study Abroad Office you are done! You will receive confirmation from Dr. Noonan shortly afterwards. The fee for the 2-week, 4 credit course is $3,500. Ole Miss application for admission $40-$60 (if not already a UM student). Study Abroad course application fee $100. Transportation to the port in New Orleans. I’m not a Mississippi resident. Is the cost higher for me? No, the cost is the same for all students regardless of residency. Should I take the ENVS or BISC course? What is the difference? If you are a biology major or minor you should take the BISC course. This course is for those that have completed introductory courses in biology (for majors) and should count towards the credits required for a biology (or related) degree. The ENVS (Environmental Studies) course is designed for those interested in the environment and the natural world but who are not biology/natural sciences majors and lack the background courses in introductory biology. While lectures/discussions will be the same for both courses, activities and testing/reporting will vary accordingly. I’m not presently a UM student. Will the credits transfer to my university? There is generally little trouble receiving credit at your home institution for courses taken at other Universities. It is always a good idea to first check with your Registrar’s office to confirm their acceptance of course credit and course equivalency. Notably some Universities require students obtain permission/approval before taking courses at other Universities. If you have any additional questions, please contact Dr. Noonan (bnoonan@olemiss.edu).